The UK Kennel Club classify their recognized dog breeds into several categories, of which the Toy Group is one. The other categories are Gundog, Hound, Pastoral, Terrier, Utility, and Working. Around the world, many national kennel clubs have a toy group or category, but exactly which dogs that are included can vary significantly from one country to the next. Since many small breeds have their roots in larger breeds, they are sometimes classified with their standard-sized relatives instead of being placed in the toy group. Thus, a Cavalier King Charles Spaniel may be placed with larger spaniels in the Gundog group, while small terriers such as the Australian Silky and the Yorkshire goes into the Terrier group, and so on. The international kennel club association Fédération Cynologique Internationale includes toy dogs in Group 9 – Companion and Toy Dogs, a group which is then further broken down into eleven different sections based on dog type and breed history. The use of the term toy for certain dogs is based in tradition and there is no precise and generally accepted definition of the term available. Traditionally, the dogs referred to as toy dogs have been small dogs kept chiefly as companions rather than for the purpose of herding, protection, hunting, etc. Some of dog breeds mentioned above are ancient lap dogs, while others are miniature versions of certain gun dogs, pinchers, etc. Toy dogs have often been kept not just as companions but as status symbols. Throughout history, being able to feed and maintain a dog simply for the sake of having a companion have been a luxury. For some toy breeds, it has even been illegal or simply unthinkable for ordinary non-aristocratic households to own such dogs. In September 2008, the American Kennel Club discussed changing the name of their Toy group to Companion group to emphasise that dogs aren’t playthings, but there wasn’t enough support within the club to go through with the change. Very small dogs from various breeds are sometimes marketed as teacup dogs, e.g. teacup chihuahua, but no major dog registry use this term. 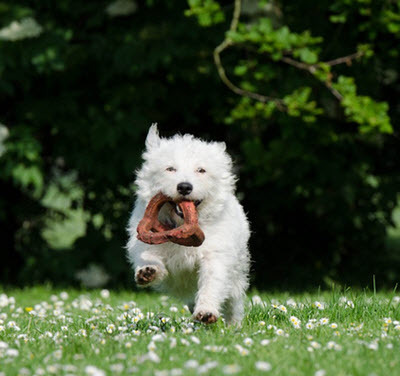 All dogs need physical activity, but toy dogs are usually satisfied with less prolonged and strenuous activity than other dogs, especially compared to larger and very active breeds such as Greyhounds, Siberian huskies and Border collies.